Based out of Portland, OR, The Epoxies mix new wave and punk rock elements with modern electronics and heavy beats to create a unique volatile concoction all their own. Their break out single Need More Time in 2002 brought them to the attention of Dirtnap Records who released their self-titled debut later that year. Two years later, Need More Time once again garnered a lot of interest in The Epoxies when it was included on the 2004 Rock Against Bush compilation. This time the band found themselves signing with the California based punk label Fat Wreck Chords. In 2005 they released their second album, Stop The Future, and spent most of the year touring with the likes of the Undertones, Groovie Ghoulies, The Lovemakers, The Aquabats, Phenomenauts, Me First and the Gimme Gimmes, Against Me!, Soviettes, and Smoke or Fire. More tour dates followed in 2006, as well as plenty of studio work for their next album and a re-recording of their song Synthesized for The Sims 2: Open For Business video game. 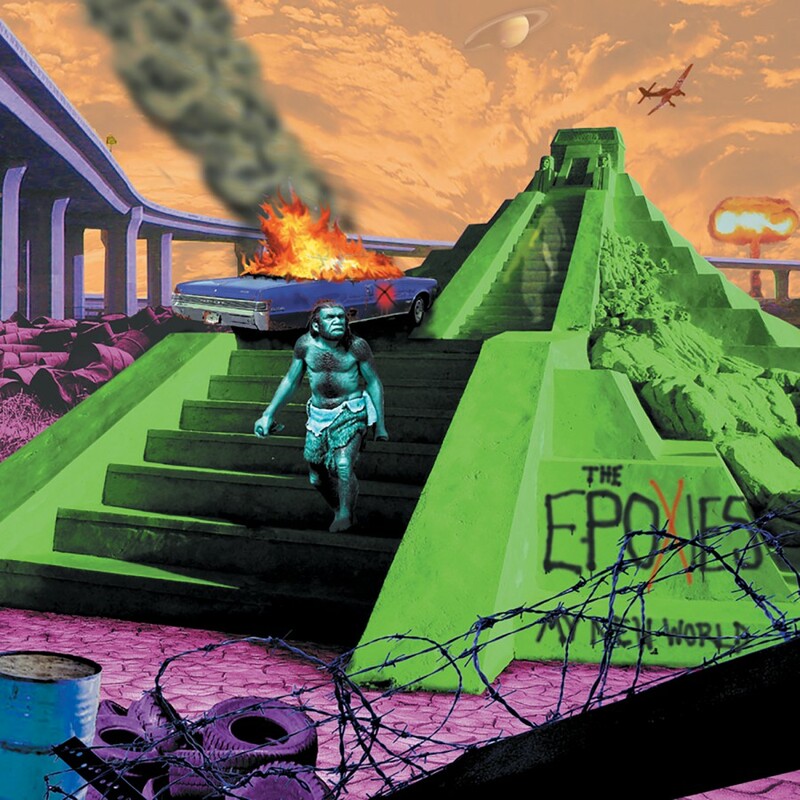 Signing with Metropolis Records in 2007, The Epoxies presented the My New World EP. Featuring five very distinct tracks ranging from the electro punk title track to the melancholic Here In The Dark to the old school Tragedy, the EP serves up a healthy dosage of what the band is capable of.